Weleda just launched the complete “Skin Food” experience, including Skin Food Body Butter, Skin Food Light for the face and Skin Food Lip Balm. These come to complement their bestseller Skin Food, the iconic cream formulated in 1926, an all-round healing cream that was one of the first products in the range. The new Weleda Skin Food collection features key ingredients of rosemary, pansy, chamomile and calendula alongside sunflower seed oil, lanolin and beeswax, which nourish skin from head to toe. Each product has a distinct composition of aromatics – essential notes of sweet orange, soothing lavender, balsamic benzoin and warm vanilla, simply delicious. Kathryn Tinney: To be able to nourish my soul, give self love using these beautiful Weleda products! Simone Pike: When my skin feels healthy, I feel healthy. And when I feel healthy, I feel happy. Jodie Passmore: As a mumma to a babe, Weleda is my little moment of meditation that reminds me to breath it all in – smell, nourishment, life. 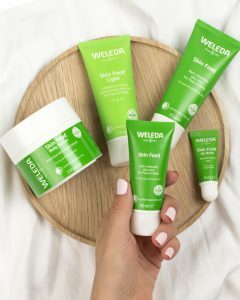 You’ve each won a Weleda Skin Food pack (including Skin Food 75ml + 30ml, Skin Food Light, Skin Food Body Butter and Skin Food Lip Balm) value $106.75 each. If you’re not a winner this time, don’t forget to make the most of your special offer! In this week’s very long show, I’ve actually stuck two interviews together for a bumper issue on HOME design/renovation. 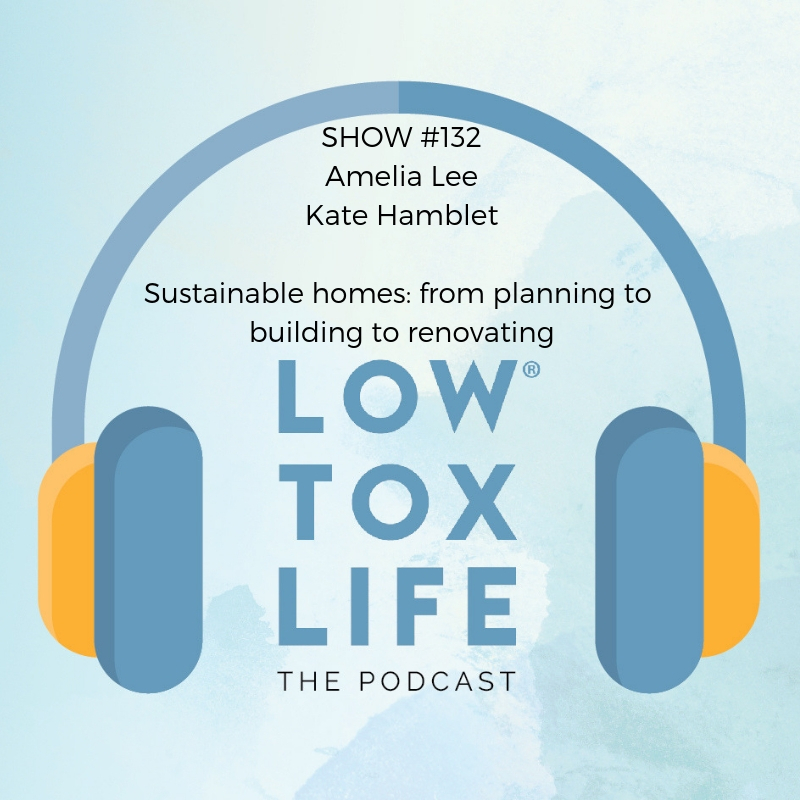 I have two experts in their fields here to discuss designing, building and renovating considerations for a healthier you and planet so if this is you now or in the next couple of years, please have a listen, these talented women are a wealth of knowledge. Architects Amelia Lee (you must check out her podcast “Undercover Architect”) and Kate Hamblet share their wisdom and with Kate also specialised in interior furnishings, it’s a bumper show for all things ‘home’. Being a passionate mold inhibitor, I’ve got you covered on the mold front, in terms of underlays, wood materials and air filters too. I hope you enjoy the show! With two decades in residential architecture, a few awards and a truckload of houses under her belt, she has seen first hand, over and over, how our homes can improve or impede our lifestyles. And that design is what makes the difference. Your home is significant and important. Not only in the financial investment you make, but also in the launchpad it creates for your life overall. She takes her role in helping you very seriously, and the trust you place in her to share your journey. 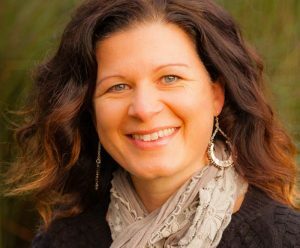 She’s also the architect behind Undercover Architect – the award-winning education resource for home design, building and renovation. 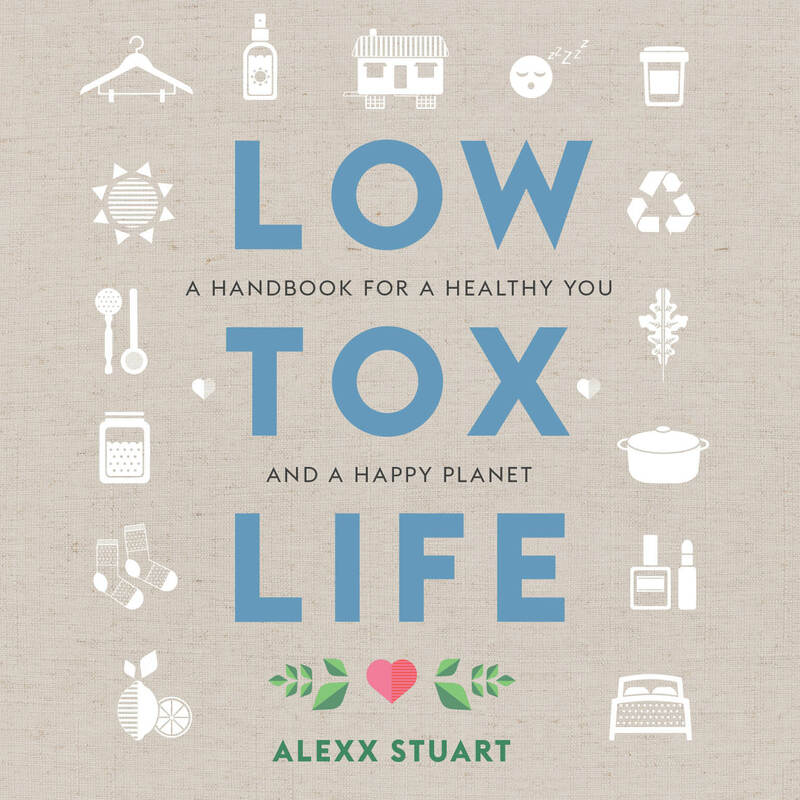 Designing a lower tox home – it’s a big one that a lot of people are thinking whether it’s because of greater temperature variation due to climate change or simply wanting their home to help them thrive instead of being a factor in making them sick… Let’s talk biggest of big picture first: What’s your approach to sustainable/low tox home design? Orientation: Does optimal orientation change depending on where you’re located geographically? What can we do when we already HAVE the house to improve on its original design without knocking the whole thing down? One of your gifts is helping people design rooms and spaces they’re going to love… Let’s talk functionality and flexibility… Once you design with that focus, it’s then looking at the long term functionality and flexibility of the home, with a focus on how you feel, and how the home feels for you. Considering how you design rooms and spaces that support that. How do we choose building materials that are good for us / planet? How do we build a home, materials wise, that doesn’t easily degrade / get overtaken by mites / mold and other things that can cause damage? How do we reduce waste in the construction phase? Do we need an architect for renovation or can we work directly with draftspeople/builders? How as an architect, do you see a building biologist being a useful member of the overall home building/renovating journey? If someone were thinking about building a home / renovating in the very near future: What are your top tips for reducing overwhelm? Get your free 5 Step E-Guide and get it right in the design of your new home or reno. Download it here. Amelia did a Podcast Season all about orientation. Each episode shares what to do if your home faces a particular direction, and how to optimise the design accordingly, plus outlines the core fundamentals to prioritise in a well-designed home. There are lots of these, but these are a reputable start. Balanced Home Balanced Life emerged from Kate’s intersecting passions for sustainability, wellness, and experiential design. 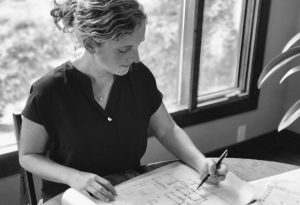 These three areas of design have shaped the way she creates and views architecture. There is balance and harmony in a building that listens to its occupants and the surrounding environment. Nature is an amazing learning lab and provides an abundance of inspiration for her designs. Balanced Home Balanced Life takes the approach of finding the right balance of wellness and sustainability without going over budget or losing sight of the client’s design goals. 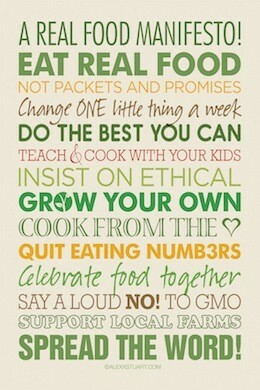 And where did the healthy home aspect kick in for you? Born and raised eco-conscious or was it an ‘aha’ down the track? Something you talk about was the few initial changes you made when you noticed as a new parent, your home wasn’t supporting you guys to thrive… what were some of those initial changes? On your website you quote the cradle to cradle founder William McDonough “How about designing a building that nourishes and restores living systems”. 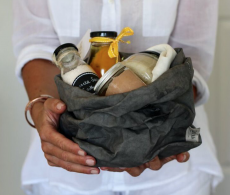 Can you share what “Cradle to cradle” is for people who haven’t heard that phrase? How has your architecture evolved over time to embody that nourishment and restoration of living systems? A lot of people fear that (and seem to find that) a healthy home with ecologically sound building materials in a build or renovation are much more costly – does it have to be? How do we achieve a healthy home within budget? What are some of your favourite ways to blend the outdoors with our indoor living from architecture to interiors? So we talked about air flow, orientation and room positioning with Amelia… you’re passionate about keeping the water source clean and preventing water damage – a huge issue with up to half of buildings being water damaged in the US and the figure not being dissimilar here in Aus… How do we design for clean water and mold prevention? Flooring (does felt under boards encourage mold growth over time? Other solutions to sound dampening for multistory houses that still ensures breathability? Windows: Does triple glazing create a ‘bubble’ and stifle us, encouraging mold/raising humidity or can it work depending on what else we’re doing in our reno/build? Filtration of indoor air: How do we ensure we keep the air in our homes pure? Course will launch on Thursday, April 11th. Resources for mechanical ventilation consultants and durable (water tight, air tight) building experts. Building Science Corp, https://www.buildingscience.com/, Massachusetts, works nationally. They have an exceptional website with free resources for how to build buildings correctly. They can also be hired for building enclosure consulting. Steven Winters Associates, https://www.swinter.com/ multiple east coast offices. Energy efficiency consultants with a great understanding of healthy and durable buildings. They also have a podcast! It is called ‘Buildings and Beyond’. Loved this podcast as I have a strong interest and knowledge around the design of sustainable homes. 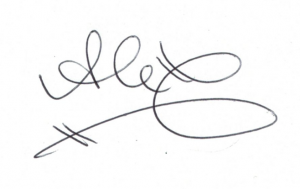 I would though like to address two of the materials recommended by your guest Kate Hamlet – timber and concrete. Firstly timber. There is a huge amount of blatant greenwashing in the timber industry, particularly from the largest government owned timber mill in Australia (and yes the word sustainable is in the company’s name). If we care about the planet, hardwood timber must have FSC certification. (I think Amelia referred to this briefly but Kate didn’t). The Wilderness Society recommend recycled or reclaimed timber with FSC certification and second choice would be FSC certified timber that is 100% plantation grown. Secondly concrete. To borrow the title from a very recent Guardian Long Read Podcast: “Concrete – the most destructive material on earth”. This is a great podcast. It explains really well how the benefits of this widely-used material are masking enormous dangers to human health. My feeling in regards to these two materials – avoid concrete and choose your timber very carefully. Having the FSC certification stamp is the bottom line and reclaimed or recycled is still the better choice. Great recommendations on links and resources. As you say, there is a lot of green-washing isn’t there. I also find too, that there’s so many ways to examine the ‘sustainability’ of a material. For example, something like concrete can be high embodied energy to use, but super durable and long term … and recyclable as well … and so some industry colleagues will support its use on that basis. And also recommend using ‘greener’ concrete with fly ash, recycled aggregate etc, with examples overseas of lower-impact concrete with a geopolymer binder system instead of Portland cement. The industry is aware of how energy intensive they are, and are doing a lot to research new ways of production, plus look at how other waste materials can be used in its production. We still, in Australia, have a massive aversion to building larger commercial or multi-storey buildings from timber, so there’s a fair bit of industry catch up to do in this regard. Timber, when well-selected and sustainably produced, has a lot of merit still. So glad you enjoyed the podcast!